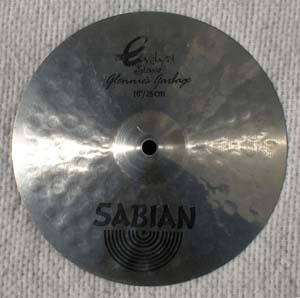 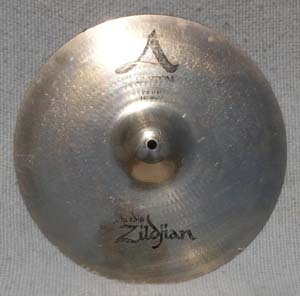 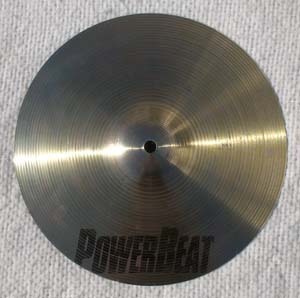 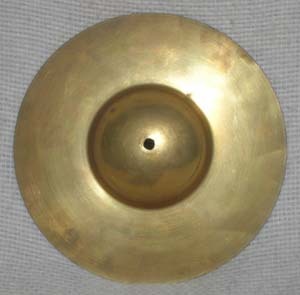 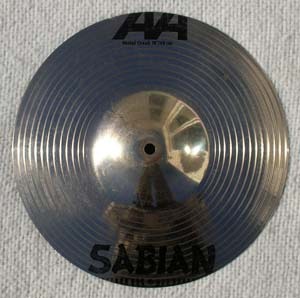 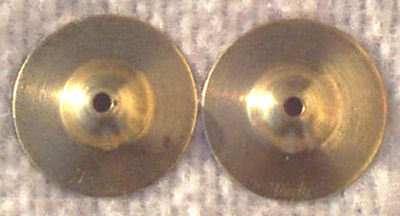 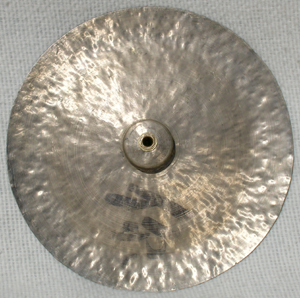 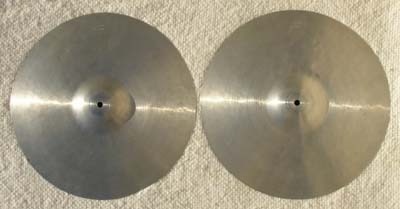 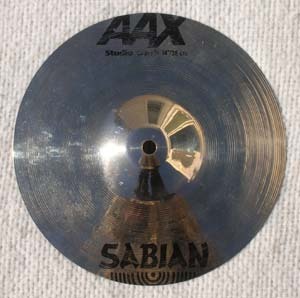 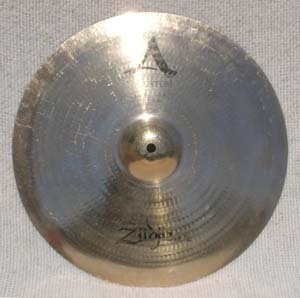 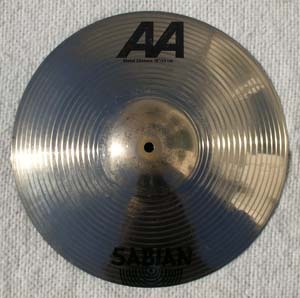 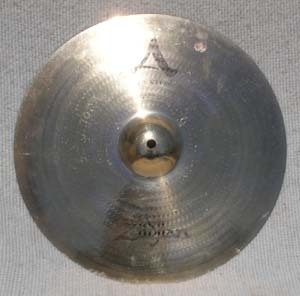 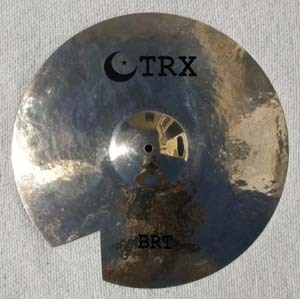 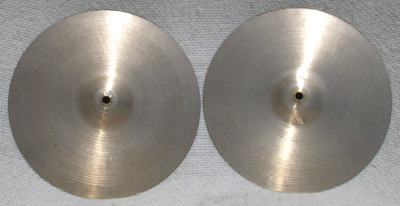 Professionally cut down from 14" bottom Hi Hat. 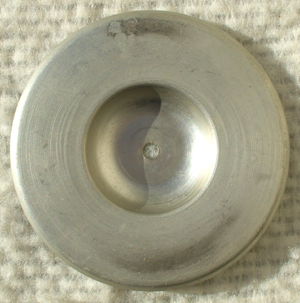 Professionally cut out cracked section. 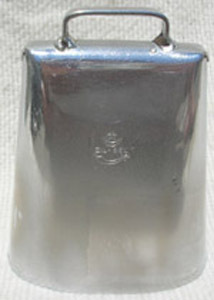 Cracked around the base of the bell. 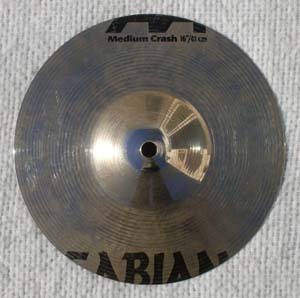 Professionally cut down from 16" Medium Crash. 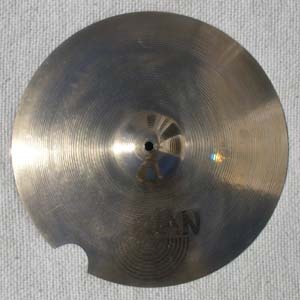 Professionally cut down from 19" Metal Crash. 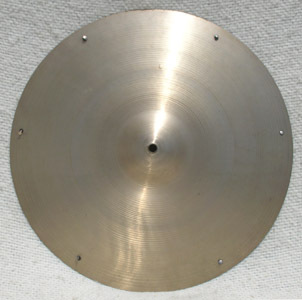 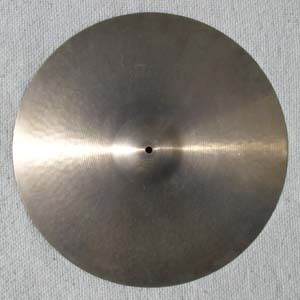 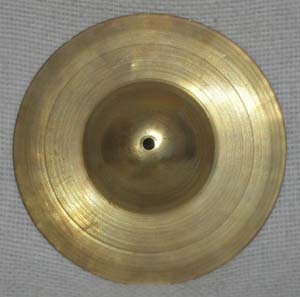 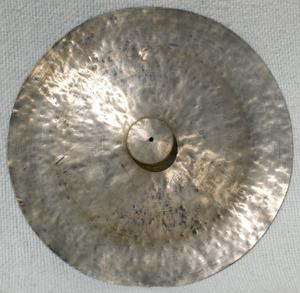 Professionally cut down from 18" Metal Chinese. 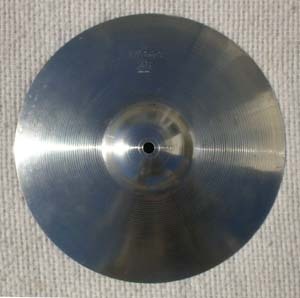 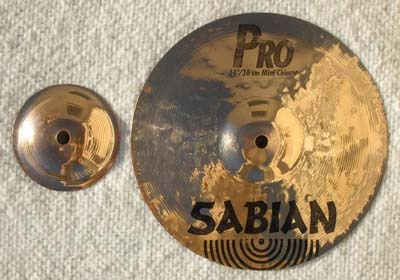 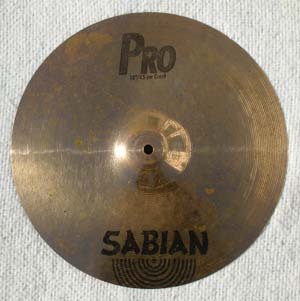 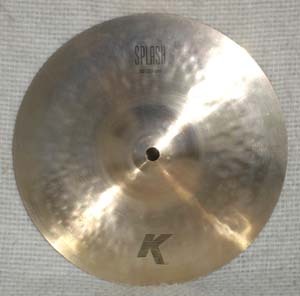 Professionally cut down from 14" Studio Crash. 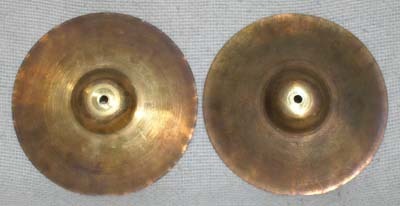 Professionally cut down from 16" Studio Crash(4&3/8" bell/cup chime) & 14" Mini Chinese(10&3/8" china splash). 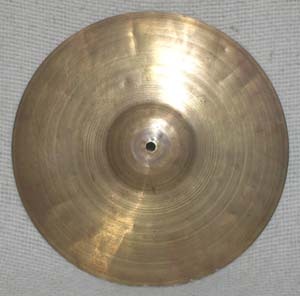 Professionally cut down from 18" Crash.